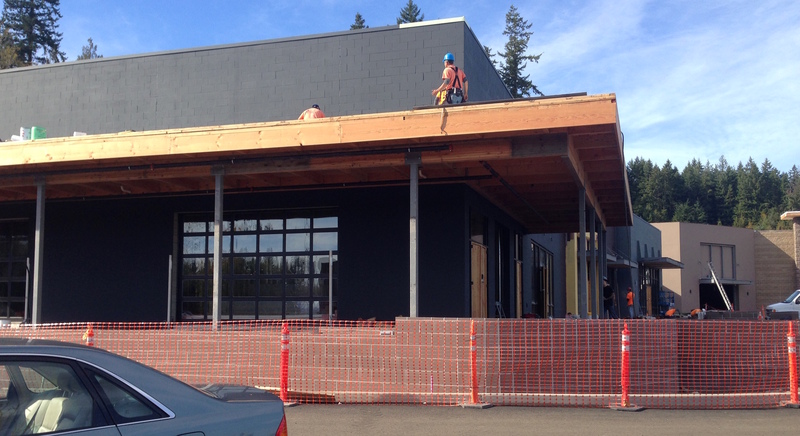 A Corner Bakery Cafe opening in Silverdale on Aug. 1 will be the second Washington location for the rapidly-growing chain. 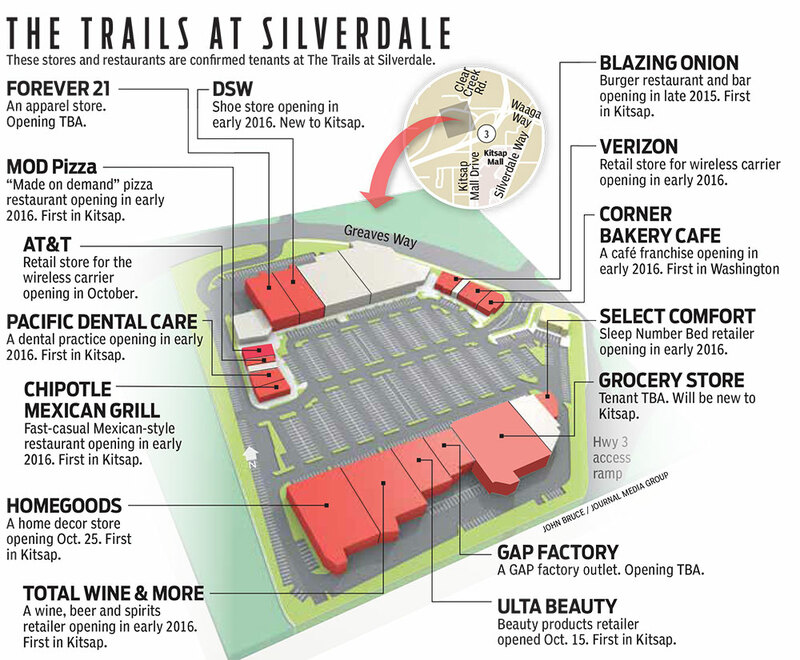 The cafe will open in a space near the entrance to The Trails at Silverdale shopping center. 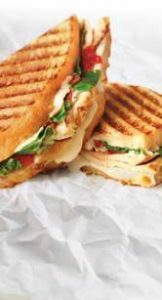 Corner Bakery’s menu includes pastries, hot breakfasts, sandwiches, soups, paninis, salads and pastas. Food is made to order and served at tables. Online ordering and catering also are available. According to the release, the first 100 customers who visit the shop on opening day will receive a free travel mug with free coffee refills for a year, and have the chance to win free panini and pancakes for a year. The shop opens at 7 a.m. Aug. 1. The Silverdale Corner Bakery Cafe is owned by franchise group Northwest Corner, LLC., according to a news release. 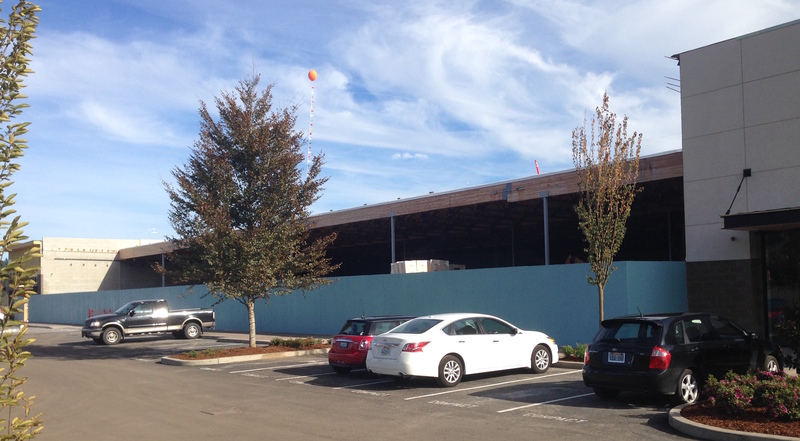 Northwest Corner opened the first Corner Bakery in Washington in Tukwila earlier this year, and plans establish 16 in the state. 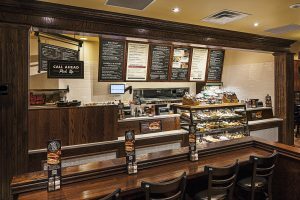 Founded in 1991, Corner Bakery has about 200 locations nationwide. The Dallas-based chain was purchased by an Atlanta private equity firm in 2011, according to its website. 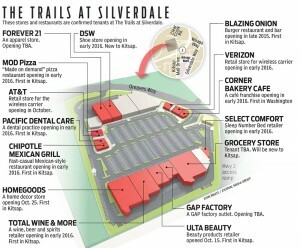 Click here for the latest Trails at Silverdale business locations. 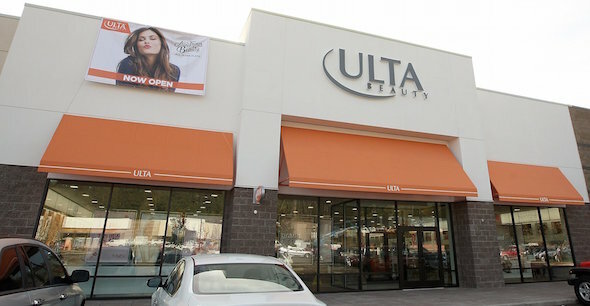 Today was the first day the public was invited into The Trails at Silverdale shopping center, as Ulta Beauty held its soft opening. 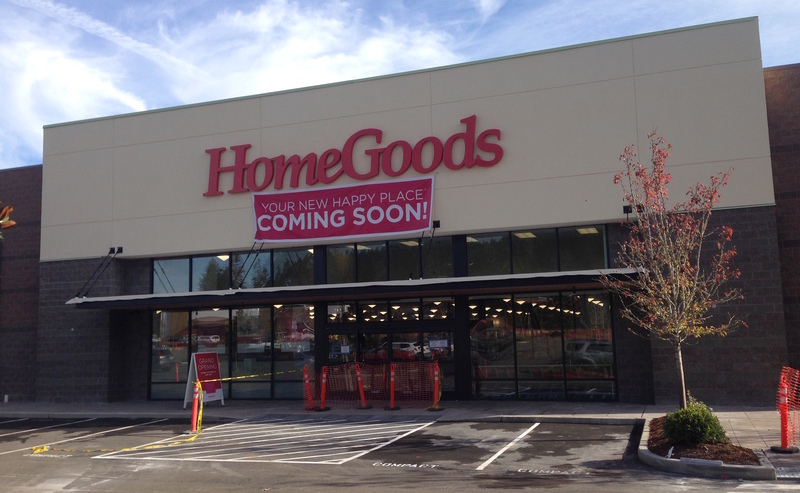 Other stores and restaurants will open between now and mid-2016. You can get a full rundown here. 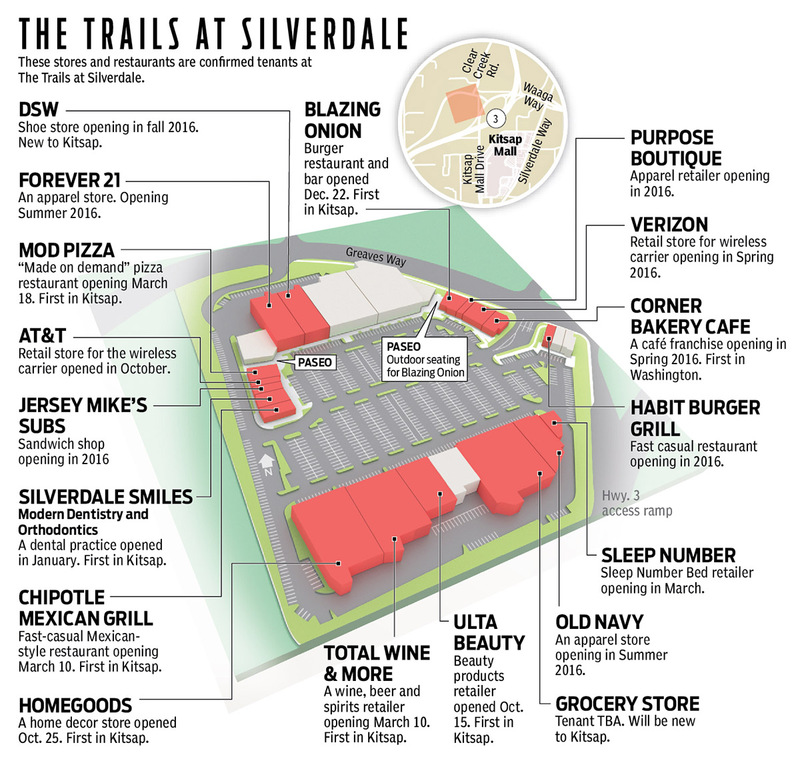 There’s still a lot of work to be done on storefronts and landscaping at The Trails, but shoppers could get a feel for how the sprawling retail development off Greaves Way is coming together. I paid a visit to The Trails this afternoon and snapped a few iPhone photos, which are posted below (the Sun’s Meegan Reid took the Ulta photo above). DSW and other retailers. Opening TBA. 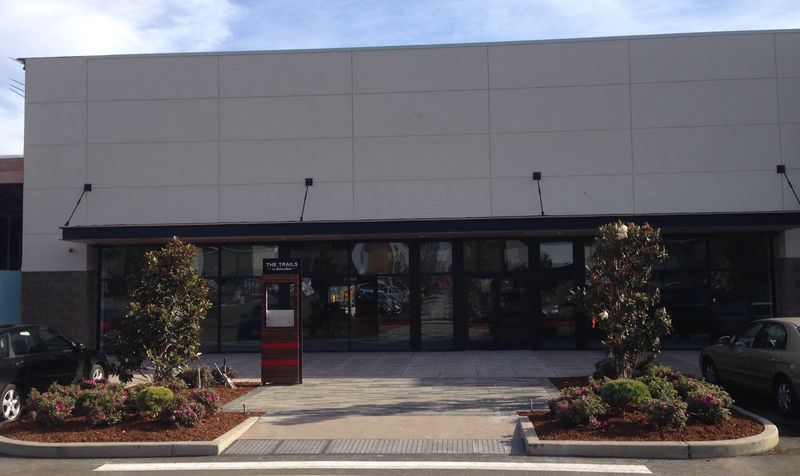 Corner Bakery Café, opening 2016. 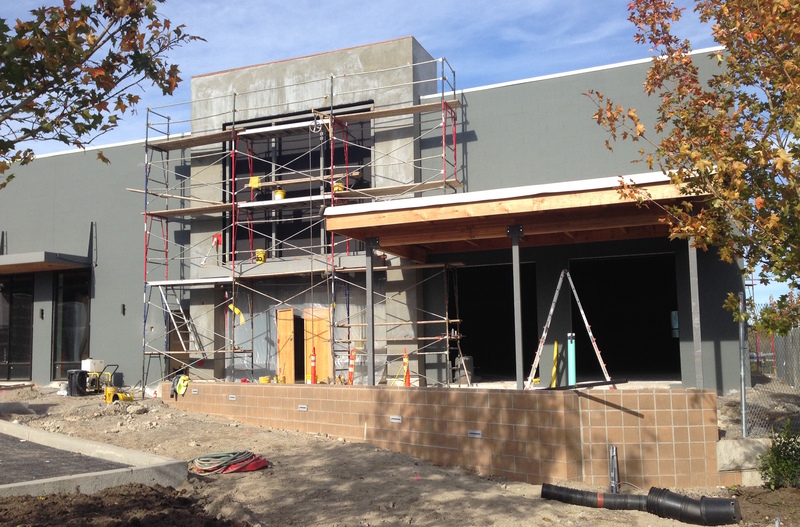 Unnamed grocery store, opening and tenant TBA.